Seen on a billboard: “Live generously and life will reward you royally.” I don’t know what it had to do with the well-known brand of liquor it was advertising but I liked the slogan. A couple of years ago the New Republic published an interview by Jordan Michael Smith with sociologists Christian Smith and Hilary Davidson, authors of The Paradox of Generosity, which presents the findings of the Science of Generosity Initiative at Notre Dame. Researchers for the initiative surveyed 2,000 individuals over a five-year period. They interviewed and tracked the spending habits and lifestyles of 40 families from different classes and races in 12 states, even accompanying some to the grocery store. The result is among the most comprehensive studies of Americans’ giving habits ever conducted. They concluded that people who are generous with their money are healthier and happier. President Obama signed an executive order to remove the phrase “under God” from the U.S. pledge of allegiance. a Republican lawmaker has proposed a saliva test to determine that poor people are actually hungry before they can use food stamps. the Zika virus is being spread by genetically modified mosquitoes. a Nazi submarine has been spotted in the Great Lakes. Miami, Florida has introduced new texting-friendly expressway lanes complete with “safety bumpers” along the sides. the United States has banned the popular game Pokemon Go. 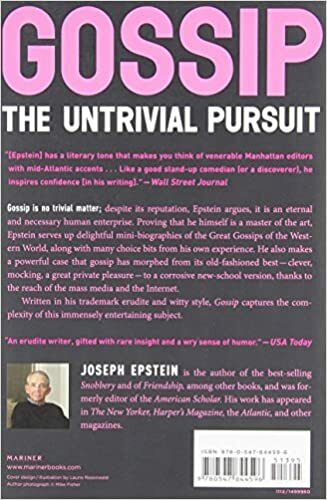 I remember a college classmate showing his innocence or ignorance by declaring, “If it wasn’t true, they wouldn’t put it in the newspaper.” With the proliferation of social media it has become so easy to spread rumors, gossip, and untruths but many people accept them as factual. I suspect my college friend would be one of those to whom the fake news websites would cater. 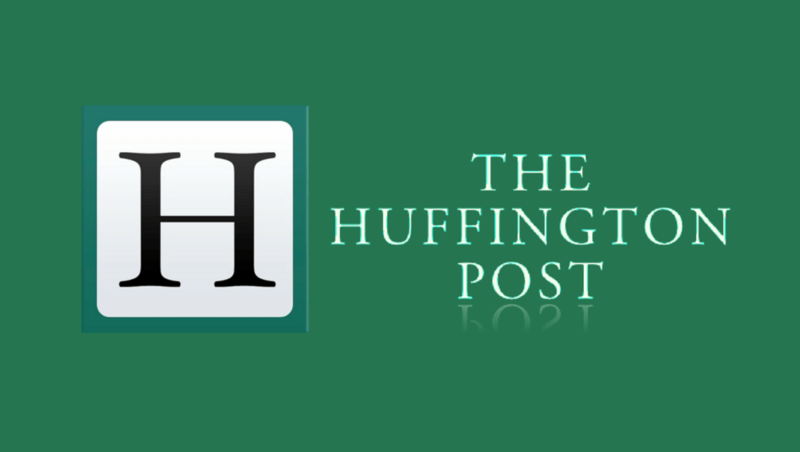 According to one source as much of 60% of the links shared on social media are shared based on the title alone, with the sharer not actually reading the article itself. Almost a full hour more the Post finally updated its article and changed the headline. 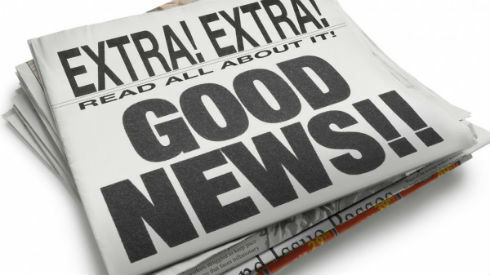 Finally more than a half day later the newspaper added an editorial note at the very bottom of the article acknowledging that the earlier story was incorrect. By that time thousands of people had read and believed that Russian hackers has breached the U.S. electricity grid. 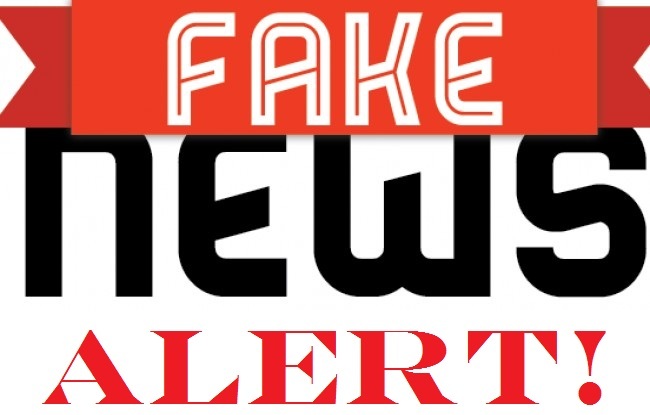 All fake news is not the result of some well-conceived conspiracy produced purposely or some news outlet failing to verify the facts. 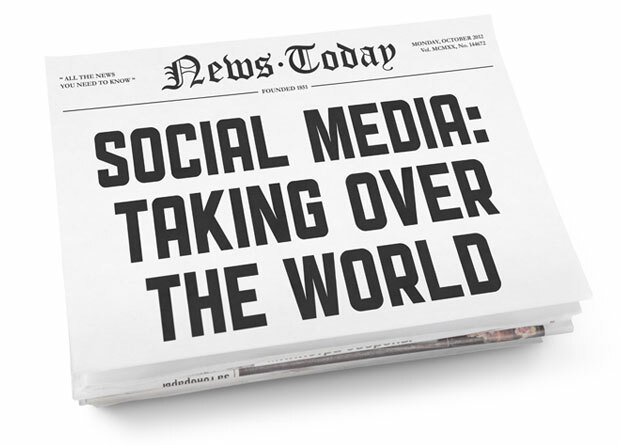 Ordinary people often post or tweet false information that is then seized on and spread through the internet. One example is 35 year-old Eric Tucker from Austin, Texas. He had about 40 followers on Twitter but during the presidential election campaign he posted that paid protesters were being bused to demonstrations against President-elect Donald Trump. Mr. Tucker’s post was shared at least 16,000 times on Twitter and more than 350,000 times on Facebook. The problem is that Mr. Tucker got it wrong. There were no such buses packed with paid protesters. But that didn’t matter. The firestorm had already begun. There is enough real bad news in the world without fake news causing unnecessary anxiety and harm. In contrast to fake news or bad news, God taking on human form and becoming one of us is incredibly Good News. “This is how much God loved the world: He gave his Son, his one and only Son. And this is why: so that no one need be destroyed; by believing in him, anyone can have a whole and lasting life” (John 3:16, The Message). I am old enough to watch Jeopardy without apology or embarrassment. Alex Trebeck, the host of the television answer and question game show for 32 years, has become a friend. As I watch each episode I am sometimes surprised at what I know but more often reminded of how little I know. Recently one contestant won several days and amassed a pretty nice sum of money. During each show she showed little emotion. As I watched each episode I wondered why she didn’t show some disappointment when things weren’t going well or how she could keep from getting excited when she won. I was a bit critical of her demeanor. 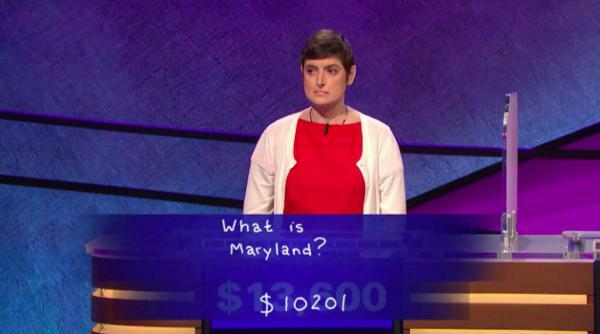 After winning six games and $103,801 I was glad another Jeopardy “champion” was named. Then I learned Cindy Stowell’s story. The episodes in which Cindy competed were taped in August and September of this year but her first episode did not air until December 13. Competing on Jeopardy was a life-long dream. Cindy passed the online contestant test in early 2016. When she received an invitation to an in person interview this past summer she contacted the show’s contestant producer with this message. Learning that the 41 year old science content developer from Austin, Texas had Stage 4 cancer, she was told to attend her audition in Oklahoma City. If she qualified to compete on the show, she would be booked for a taping as soon as the show’s schedule would allow — three weeks later, August 31, 2016. Cindy lost her battle with cancer on December 5, eight days before her first episode aired. When Cindy was in the hospital, Jeopardy sent her advance copies of her first three episodes, so she and her family were able to watch her competing on the show. 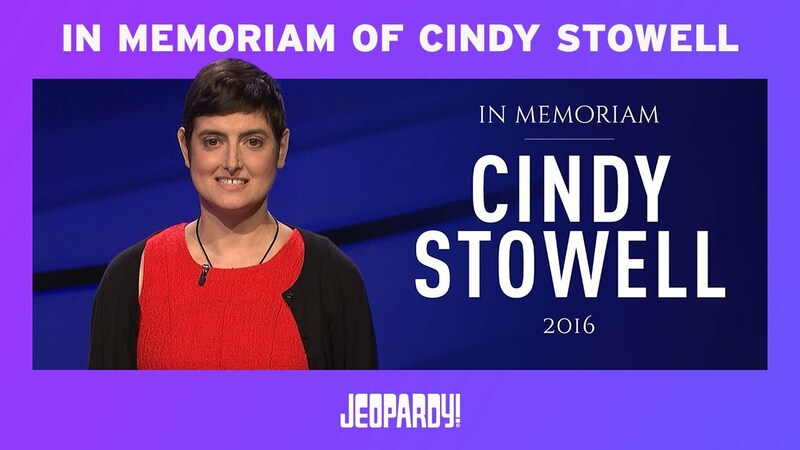 Jeopardy also expedited Cindy’s prize money, and she received and acknowledged it before she passed. When I learned Cindy’s story I felt bad about my feelings toward her during the shows. But it taught me a few lessons which I will try to incorporate into my life going forward. Be slow to judge. I can’t always see the whole picture or know the full story..
Live each day like it was my last. It could be. Maximize opportunities to do good. Focus on what I have and can do, not what I don’t have or think I can’t do. On this first day of the New Year the words of the following hymn, written by Brian Wren, gives good guidance. I pray that God will bless and guide you throughout the coming year.